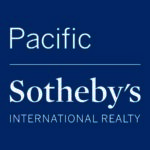 Locate that perfect Encinitas real estate property for your new home. Search through available houses, condos, and townhomes by the price or amenities. Encinitas is situated in the north of San Diego and is sandwiched between Carlsbad and Solana Beach. The community offers spectacular views, courtesy of being surrounded by more than 6 miles of breath taking ocean fronts. San Diego coastal homes showcases some of the most beautiful coastal North County San Diego county homes PLUS thousands of other homes for sale and property listings. Our Home Showcase displays some of the beautiful homes we have for sale or have sold in the past. Want a closer look at oceanfront, beachfront or ocean view properties? Search our listings for houses, condos or townhomes. Encinitas is a great place to raise a family and features some top rated schools. Beaches are not the only thing popular about this area, since it is also known as the ‘Flower Capital of the World”. Agriculture is still very much prevalent in Encinitas and there are lots of it is an extremely popular tourist spot as well. Along famous historic Highway 101 there are lots of public services available, which include golf courses, RV parks, shopping, the La Paloma theater, the Self Realization Fellowship, Hansens surfboards, soccer fields and tons of annual events held in Encinitas. When it comes to real estate in Encinitas, there are lots of desirable neighborhoods available. Old Encinitas is deeply influenced in the surfing culture and you will find lots of restaurants and surf-shops in the neighborhood. The homes are small and designed in small rustic cottage styles and are home to mostly laid-back residents. The newer Encinitas is where all the shopping centers are located and is home to families that want the suburban lifestyle. This reflects in the modern design of the large homes located in this area, along with highly rated schools. There has been a high demand in the rise of executive homes in Encinitas recently as well, and newer communities are springing up in the area. Statistics suggest that the real estate market in Encinitas has suddenly gone on to a whole new level. Ever since March 2014, there has been an 8% decrease in the number of home resale in the city, as the median value of each home has increased. The median value of a home in Encinitas is now $821,000, with a growth ratio of nearly 10% and experts are predicting a further 3% increase in the next year. The current state of affairs of the real estate market in Encinitas paints a vivid picture of an upsurge in the overall list of prices per square feet for homes in the community. The San Diego Metro has an average price per square feet of $283, while Encinitas has $479 per square feet. The numbers of homes that are listed for sale in Encinitas have a median price of $1,159,000, while the median price of homes sold in the neighborhoods is at $773,950. There are even better figures when you are speaking about the median rent prices in the area which are estimated to be $2,800 while the San Diego Metro has a median rent price of $1,875. The rate of foreclosures in the Encinitas is an at all time low and is only at 0.5 homes per every 10,000 homes, which is way below the 2.1 homes in San Diego Metro and considerably less than the 5 homes value on the national level. Mortgage delinquency is another factor to consider when you are looking to invest in real estate in an area. It is the inability of a homeowner to continue their mortgage payments on the home. The average rate of delinquent mortgages in Encinitas is at 4% which is less than the 8% national value. The real estate market collapse in 2008 made a significant dent on the industry and many markets are still recovering. The crash forced many homeowners to go underwater on their mortgages as well. The number of homeowners who are currently underwater on their mortgages in Encinitas is at 3.8%, which is lower than the 13% ratio for San Diego Metro.